Feed your dog the food that loves him back with the Nutrisca Grain Free Duck & Chickpea Stew Recipe Canned Dog Food. This rich, savory stew features real duck as the number one ingredient, and it’s totally free from grains, potatoes and tapioca starch to align with his natural diet. Chickpeas act as a second source of low-glycemic protein, giving him plenty of energy for that extra round of fetch. There’s also vegetables that you can see, like carrots and spinach, which equals all the antioxidant-rich nutrients that help keep him feeling his best. Go ahead, pop open a can. Your dog will love you for it! Free-range turkey is the number one ingredient in this protein-rich, savory stew. Chickpeas provide an excellent source of low-glycemic protein and folic acid. 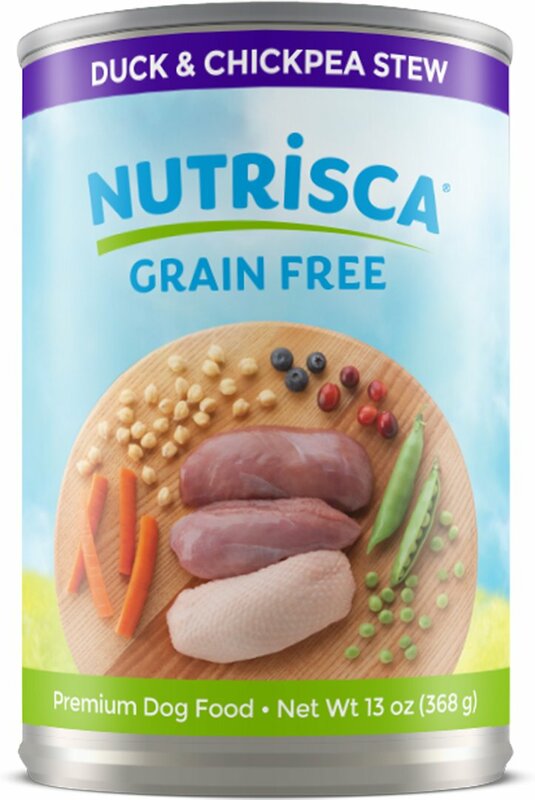 Made without grains, potatoes or tapioca starch for superior digestibility. Chelated minerals, omega fatty acids and antioxidants support immunity and a healthy skin and coat. Made in the USA with simple, natural ingredients you can see and no artificial colors, flavors or preservatives. 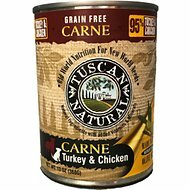 Adult: Feed 1 - 1 1/2 cans per 15 lbs. of body weight per day. Puppy: Feed up to twice the Adult amount to puppies. *Amount of food your dog requires will depend on activity, age, environment, and breed. Feed at room temperature and refrigerate unused portion. Always provide access to clean fresh water. 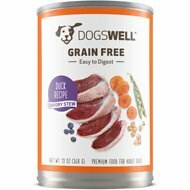 My dog Raven had all the sudden decided she didn't like the last Grain-Free canned food she had been eating. Decided to give this one a try. Success! She loves it! Once again my girl is excited for breakfast and dinner! I mix it with a little bit of grain-free dry kibble and she gobbles it down. Thanks Chewy for giving me great choices at great prices!